Orthodontics can be for everyone, even celebrities like Faith Hill, who told fans she wished she had worn her retainer more often as a tween, or basketball superstar Dwyane Wade, who got his braces at the same time as his sons. In the past, braces were associated as closely with adolescence as algebra, and only children and teenagers wore them. Now, one in five orthodontic patients is an adult. According to a recent study by the American Association of Orthodontics (AAO), adult orthodontic treatment has been shown to contribute to significant improvements in self-esteem. Seventy-five percent of survey respondents reported improvements in career or personal relationships after having braces, and more than 90 percent said they would recommend orthodontic treatment to friends, colleagues, or family members. Adults typically seek orthodontic treatment for cosmetic reasons so they can smile with confidence. Many are surprised to learn that treatment will improve both their oral and general health, too. Crooked teeth (known as malocclusion) affect as many as three-quarters of adults, and cause abnormal amounts of stress on teeth, which can lead to premature wear. Over time, excessive forces cause flattening of teeth and can lead to chipping and fractures. A bad bite may place significant pressure on the jaw joint, leading to a painful condition known as temporomandibular joint dysfunction (TMD). Symptoms include joint pain, earaches, and headaches. The alignment of teeth and proper positioning of the bite has been proven to reduce these symptoms and in many cases, eradicate them all together. Crooked or crowded teeth also make it more difficult to remove plaque and bacteria, which can trigger periodontal disease. Initially characterized by inflamed gums, redness, and bleeding while brushing and flossing, inflammation can lead to chronic infection, soft-tissue damage, bone loss, and possible tooth loss. People who suffer from periodontal disease can spend hours in the dental chair and may require long-term maintenance to insure health of the gums and bone surrounding the teeth. Bacteria trapped between gums and teeth can also impact your overall health, invading the bloodstream and causing damage to the cells lining your coronary arteries, increasing your risk of heart disease, stroke, and other serious illness. This is why cardiologists now routinely ask patients about the presence or history of periodontal disease to ascertain their risk of having a heart attack. It is thought that the bacteria which causes inflammation of the gums may cause inflammation of the heart and vascular tissues. So what does this have to do with orthodontic treatment, and how is it beneficial? Orthodontic treatment lowers risk of oral conditions like gingivitis, periodontal disease, and overall inflammation. Correctly positioning your teeth in proper alignment and function will help prevent future dental problems and create a healthy mouth and a beautiful smile for life. So who should see an orthodontist? Adults experiencing relapse from previous treatment or experiencing problems such as crooked or crowded teeth, overbites, under-bites, incorrect jaw position, or jaw- joint disorders should consider seeing an orthodontist for an evaluation. Modern orthodontics is vastly different than the headgear, large metal bands, and stainless steel wires, which accounted for the discomfort patients previously experienced. Gone are the giant metal braces you may remember from childhood. Faith Hill opted for clear braces. Dwyane Wade had braces on his lower teeth only. Another discreet option is to attach braces to the backsides of teeth. Alternatively, you can forgo braces altogether and investigate Invisalign, a series of clear plastic trays that gently move the teeth into place. The good news is, thanks to the improvements made in technology, orthodontic treatment is easier and treatment times are shorter than ever – no matter your age. 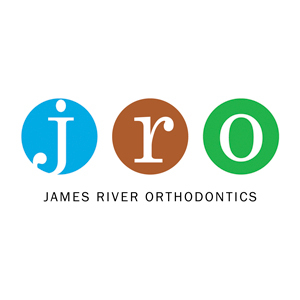 Larry Scarborough, DDS, MS, practices at James River Orthodontics where as many as 35 percent of his patients are adults. Dr. Scarborough and his wife Emily have two children.